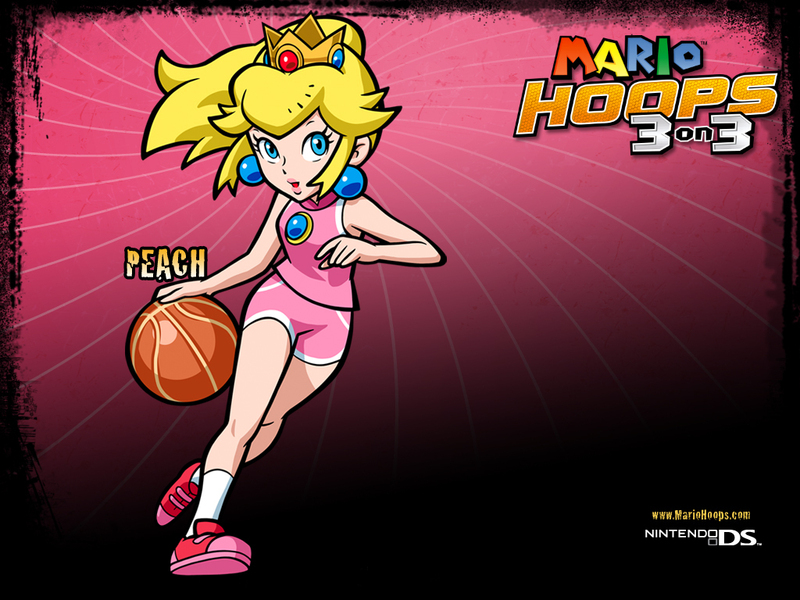 Mario Hoops: 3 on 3. . HD Wallpaper and background images in the Princess Peach club tagged: peach princess peach mario brothers mario nintendo mario hoops 3 on 3 mario basketball. This Princess Peach wallpaper contains anime, comic book, manga, and cartoon.